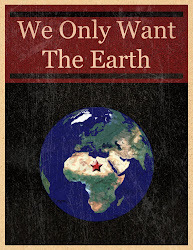 We Only Want The Earth: What Causes Wars? A Theoretical View. Realism, Liberalism and Marxism. What Causes Wars? A Theoretical View. Realism, Liberalism and Marxism. War is a state of armed conflict between different countries or different groups within a country. War can take on many forms including world, inter-state, intra-state or revolutionary. In order to assess the causes of wars, a theoretical approach is useful to broaden our understanding and perspective on the issue. A realist theoretical approach is probably the most dominant in the area of international relations. Realism can be divided into three broad types; classical, modern and neo-realism, however all share a number of core principles. The classical realist perspective is most commonly associated with the writings of Thucydides (460-400BC), Machiavelli (1469-1527) and Hobbes (1588-1679). Each placed great emphasis on the primacy of the state but also juxtaposed the suggested ‘human nature’ of egoism, selfishness and greed onto the character of the state. For Machiavelli in particular, morals and ethics had no place in politics and as he stated, “in politics we must act as if all men are wicked and that they will always give vent to the malignity that is their minds when opportunity offers” (Cited in Donnelly, 2009, p.32). At the core of the classical realist perspective is the three concepts of statism, survival and self-help. These concepts were core to the later writings of modern realists such as Waltz and Carr, often termed structural realists, who although acknowledging the concept of a human nature in statecraft, placed greater emphasis on the anarchic nature of the international system which “fosters fear, jealousy, suspicion and insecurity” amongst states(Dunne and Schmidt, 2008, pp.100-103). For modern realists states are the primary actors, acting rationally and with security and the maximisation of power a necessary goal for each state under a system of anarchy. These views on the character of states and their motivations in an anarchic international system provide us with the realist perspective on the causes of war. Many realists subscribe to the political conception of war from Clausewitz, who, writing in ‘On War’ in 1831, suggested that war is a controlled and rational act, and “a continuation of political activity by other means” (Cited in Brown and Ainley, 2009, p.115). What Clausewitz was suggesting is that if states see war as a necessary step to further their power or interests, they will use it as a rational political tool. Modern realists such as Waltz have further developed this concept of the cause of war and added to it. Writing in ‘Man, the State and War’, Waltz sets out three interrelated images of the causes of war. Firstly, and in line with classical realist thought, war has its roots in flawed human nature. This view suggests that “the evilness of men, or their improper behaviour, leads to war” (Waltz, 2001, p.39). For the second image, Waltz suggests that the internal organisation of the state unit is crucial in understanding its propensity towards war. This image has two tenets in that in order to ensure survival from internal strife or civil war, states must promote a homogenous unified entity. To foster this type of unified entity, the state seeks war against others to prevent internal self-destruction. Finally, Waltz’s third image emphasises international anarchy and suggests that as states have interests that clash with the interests of others, for example over scarce resources, with no overarching authority to restrain them “a state will use force to attain its goals if, after assessing the prospects for success, it values those goals more than it values the pleasures of peace” (Waltz, 2001, p.160). The views of Waltz in many ways encompass the realist view on what causes wars. The liberalist perspective provides an alternative view. Liberalism is a theory that emerged out the European enlightenment period and is most commonly associated with the writings of Locke, Bentham and Kant. Kant in particular, in seeking to prescribe a route out of what he called “the lawless state of savagery” that existed in international relations, proposed a theory of “perpetual peace”. The route for Kant’s perpetual peace involved three core tenets which are republican constitutionalism, a federation of free states and a universal humanity (Kant, cited in Dunne, 2008, p.112). Kant argued that a federation of free states would be pacific, and would not war with each other. This theory was developed further by Doyle in his ‘democratic peace’ thesis in 1986, and this will explored further in a moment. Liberalism as a theory has a number of core ideals including “scientific rationality, freedom and the inevitability of human progress ... individual rights, constitutionalism, democracy ... and argues that market capitalism best promotes the welfare of all” (Burchill, 2009, p.57). Liberalism, like realism, sees states as being characterised by a human nature but in contrast to realism it sees human nature in a positive light. In this regard, liberalism views states from the inside out and seeks to project a positive human nature onto states. By taking this path, Dunne suggests that “the historical project of Liberalism is the domestication of the international” (2008, p110). However, as a normative theory that seeks to promote peace, liberalism also provides various accounts on the causes of wars. As suggested earlier, Doyle, writing in 1986 developed further Kant’s theory of perpetual peace with his own democratic peace theory. In this, Doyle pointed out that “democracies were peaceful, but only with one another. States that were both liberal and representative would maintain peace with one another, but not reliably with other non-liberal, non-representative states” (Doyle, 1986). So, for Doyle, the problem of undemocratic regimes is the cause of war. This view has at times been used to justify intervention into the affairs of nondemocratic countries. However, this view seems to go against the core value non-intervention and freedom contained in liberalism Others from a liberalist tradition see the causes of war rooted in the problem of imperialism or the breakdown of the balance or power system, with this only remedied by cooperation and mutually beneficial commerce (Dunne, 2008, p.110). Others such as Schumpeter saw war as the result of the aggressive urges of groups of unrepresentative elite rulers (Burchill, 2009, p.61). What these different views from within liberalism show is that it fails to provide a coherent and agreed upon explanation of the causes of wars like a realist, and also like a Marxist analysis do. Marxism provides us with an altogether different analysis of what causes wars, although in some ways both realism and liberalism use a similar analysis. This idea of similarities will be developed in the penultimate paragraph. Marxism as a theory comes from the writings of Karl Marx during the nineteenth century, but has been further developed by others such as Lenin. Marx’s core analysis of the world saw economic development as the “motor of history” (Hobden and Wyn Jones, 2008, p.146). He suggested that the tension that economic development created between the owners of the means of production (The Bourgeoisie) and the working class (The Proletariat) was expressed as class conflict. This tension, Marx argued, would lead to revolutionary movements which would overthrow the capitalist system and create socialism, and the eventual withering away of the state leading to pure communism (Marx and Engels, 2008). Although Marx himself did not put forward an in-depth analysis of international relations, his analysis of the capitalist system and class conflict have been taken up by others such as Lenin, to provide a theory of world politics. It is Lenin’s theory of ‘imperialism as the highest stage of capitalism’, as well as ‘world-system theory’ which provide a Marxist analysis of the causes of wars. According to Marxist theory, the capitalist system produces class conflict, which in turn provides the fuel for revolutionary movements and popular uprisings by the proletariat against the bourgeoisie. This theory has been proved correct by events such as the October Revolution in Russia in 1917. One of the chief architects of the October Revolution, Lenin, wrote his theory of imperialism before those events. Lenin’s adaption of Marx’s ideas provided an analysis of what Lenin described as “monopoly capitalism”. In his theory Lenin suggested that as capitalism developed as a system, monopoly capitalism was the highest stage of it development. According to Lenin, “imperialism is capitalism when “the formation of international capitalist monopolies will share the world among themselves and the territorial division of the whole world among the greatest capitalist powers is completed” (Lenin, 1996). In this way Lenin is suggesting that capitalist powers will cause wars with weaker nations to increase their holding of monopoly capital. As capitalism develops, its natural progression is for core capitalist nations to exploit those on the periphery through imperialist wars in search of new markets and resources. Lenin’s theory provided the origins of ‘world systems theory’ (Hobden and Wyn Jones, 2008, P.147). World systems theory, developed by Immanuel Wallerstein, outlines a world in which a core of developed capitalist countries exploits both a semi-periphery of developing, and a periphery of less developed countries. Under this system, imperialist wars are not only likely but inevitable, as the exploitative relationship occurs between these three zones. The three theories outlined above are the dominant theories of International Relations. Each provides a different perspective on how international politics functions and on what are the causes of wars. From the realist perspective, war has a number of different but also interrelated causes. These include a flawed and aggressive human nature in states, the internal organisation of states and the anarchic nature of the international system creating a race for power, survival and security. The liberal perspective takes a different standpoint and Doyle’s democratic peace theory seriously questions the realist view “that the anarchic nature of the international system means states are trapped in a struggle for power and security” (Linklater, 1993, cited in Burchill, 2009, pp.58-59). While liberals agree that the anarchic system exists, they would suggest it is not the prime reason for wars. Liberalism also contains in inherent contradiction in that it promotes freedom in the economic and social sphere domestically, whilst promoting interventionist strategies in the in international arena to promote trade liberalisation and democracy. A Marxist analysis shares similarities with both the realist and liberalist perspectives. In line with realists, Marxists would agree that the structure of the international system, where capitalist democracies seek to expand their power and security through furthering their national interests, is the cause of war. Also, Marxists would agree with the proposal from some liberals that imperialism is the ultimate cause of wars. Where the Marxist and in particular the Leninist theory provides a more comprehensive analysis is that it points out that it is the capitalist system that pushes states towards a grab for power and resources. It also exposes the underlying reason for war that both realism and liberalism fail to address. Both of these other theories neglect to fully analyse the effect of the international economic system and its effects on the behaviour of states. In this sense, a Marxist analysis provides a more comprehensive explanation of the causes of wars. In conclusion, to answer the question of what causes wars, this essay has used the three theoretical perspectives of realism, liberalism and Marxism. The essay provided an outline of each theory before giving each theory’s explanation for the causes of wars. After this the essay compared and contrasted each theory’s explanation for the causes of wars and this analysis led to the conclusion that while there are varying and diverse explanations for the causes of wars, the Marxist analysis provides the best analysis of the underlying causes of wars. That analysis suggests that it is the capitalist economic system of the world that fuels conflict and war. Brown, C., and Ainley, K, (2009) ‘Understanding International Relations’, Hampshire, Palgrave MacMillan. Burchill, S. (2009) ‘Liberalism’, in Burchill, S., Linklater, A., Devetak, R., Donnelly, J., Nardin, T., Paterson, M., Reus-Smith, C., and True, J. (2009) (Eds) ‘Theories of International Relations’, Hampshire, Palgrave MacMillan. Donnelly, J. (2009) ‘Realism’, in Burchill, S., Linklater, A., Devetak, R., Donnelly, J., Nardin, T., Paterson, M., Reus-Smith, C., and True, J. (2009) (Eds) ‘Theories of International Relations’, Hampshire, Palgrave MacMillan. Doyle, M. (1986) ‘Liberalism and World Politics’, American Political Science Review, 80 (December): 1151-69. Dunne, T. (2008) ‘Liberalism’, in Baylis, J., Smith, S., and Owens, P. (2008) (Eds) ‘The Globalization of World Politics. An introduction to international relations’, New York, Oxford University Press. Dunne, T. and Schmidt, B.C. (2008) ‘Realism’, in Baylis, J., Smith, S., and Owens, P. (2008) (Eds) ‘The Globalization of World Politics. An introduction to international relations’, New York, Oxford University Press. Hobden, S. and Wyn Jones, R. (2008) ‘Marxist Theories of International Relations’, in Baylis, J., Smith, S., and Owens, P. (2008) (Eds) ‘The Globalization of World Politics. An introduction to international relations’, New York, Oxford University Press. Lenin, V.I. (1996) ‘Imperialism: the Highest Stage of Capitalism’, London, Pluto Press. Marx, K. and Engels, F. (2008) ‘The Communist Manifesto, with The Condition of the Working Class in England, and Socialism Utopian and Scientific’, Hertfordshire, Wordsworth Editions. Waltz, K.N. (2001) ‘Man, the State and War, a theoretical analysis’, New York, Columbia University Press. I would argue that the crusades were an example of Christian imperialism... so whilst it wasn't markets for goods that were being sought, it was new markets for Christian ideas. It is a similar concept to the concept above. Although it is impossible to compare two two different time frames accurately, it is not unreasonable to suggest that all wars have been driven by a thirst for profit and territory. Thanks for contributing a theoretical view on what causes wars. Your opinion is quite interesting for many of us. Each theory’s explanation for the causes of wars is certainly worthy reading. Otherwise, you will be able to check out this information at the website. This page was useful in understanding the theories mentioned, thanks for a well written article.